Mayor Donald Grebien, of Pawtucket, kicked off the meeting by pledging strong support for the project from the City. 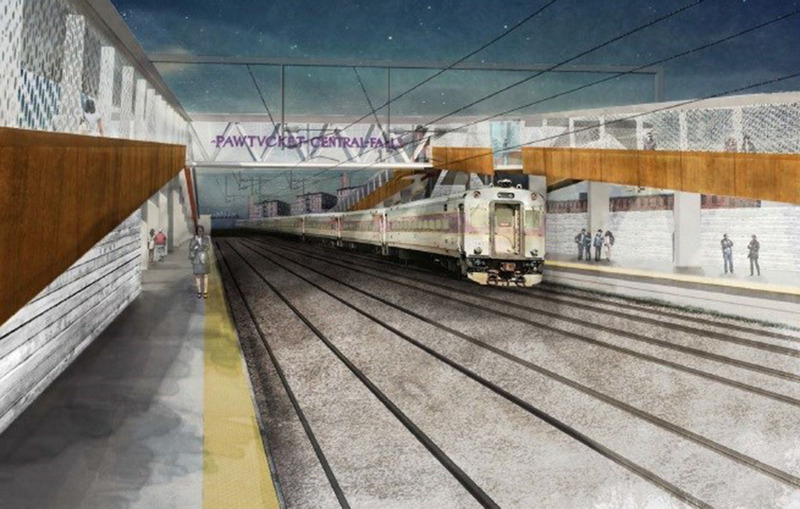 He noted that Pawtucket has been working to re-establish a rail stop for ten years, and while government doesn’t move fast enough, he expects to see the station completed within the next 5 years. The City of Central Falls was represented by Planning Director, Steve Larrick. Larrick noted that Mayor Diossa, also a strong proponent for the station, was in Washington D.C. meeting with Rhode Island’s congressional delegation to discuss a number of projects, foremost, a commuter rail stop. The meeting was well attended by the public and entertained positive comments and constructive feedback regarding: station access for pedestrians, bikes and RIPTA service, development opportunities, landscaping and connections to the recently announced Blackstone River Valley National Historical Park. There is absolutely no need for a Pawtucket/CF train stop. just drive a short distance north and you’re in South Attleboro. Or a few miles south and you’re in Providence. There is absolutely no need.